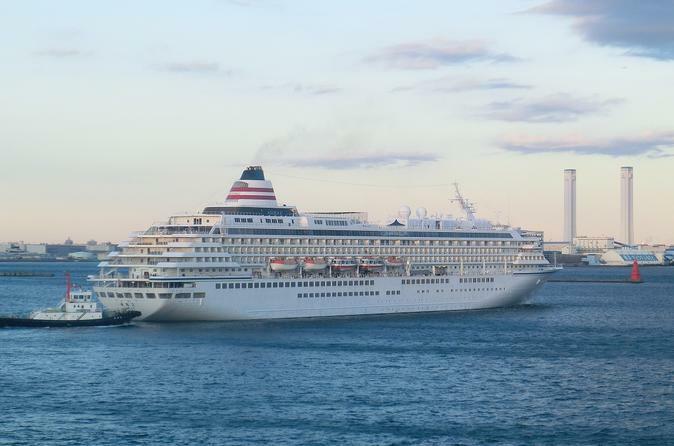 Enjoy a hassle-free start to your cruise with this shared transfer service from the Narita International Airport to Yokohama Osanbashi cruise port. Meet your driver at Narita International Airport (NRT), and relax on the journey to Cruising to board your departing ship. This shared transfer service is available to coincide with your cruise's departure schedule. This is the way to do it: get peace of mind at the start of your Cruise vacation by booking this easy and hassle-free shared transfer from Narita International Airport to the cruise ship port at Yokohama Osanbashi Pier.You may be traveling with a friend or even as part of a group,and transfer service is available to coincide with your cruise's departure schedule. This shared door-to-door port transfer is a hassle-free way to get from the Narita International to Port of Yokohama. It is a simple, cost-effective option that is available 24 hours a day, seven days a week — so it doesn’t matter when your flight / ship departs. Transport is by comfortable our Van/Coach with other like-minded passengers.Enter your details when you book and pay in advance to have your transfer confirmed instantly. When your ride arrives at you’re your pre-determined pick-up location, simply show your voucher to your driver. You need to go to the “Meeting Point” which is indicated in your reservation confirmation or service voucher. Your driver will hold a ‘Cherry Tomato’ Sign Board to meet and greet you. Distinctive and dependable for on time pick – up and deliveries. Our gracious professional drivers will get you to your desired destination as quickly and safely as possible.But we cannot guarantee an English-speaking driver. Our Cherry Tomato customer support representative are always happy to assist you with all your questions or services concern about your trip in Japan.For emergency assistance during your Japan visit, you can contact our Emergency Assistance Team 24/7. Minimum of 4 Adult fares to activate the service. Additional baggage will be charged JPY1,000 per piece.